Looking to exit your business successfully in the next 5-10 years? According to a study by the Business Exit Institute, 98% of business owners don’t know what their business is worth! That’s crazy! 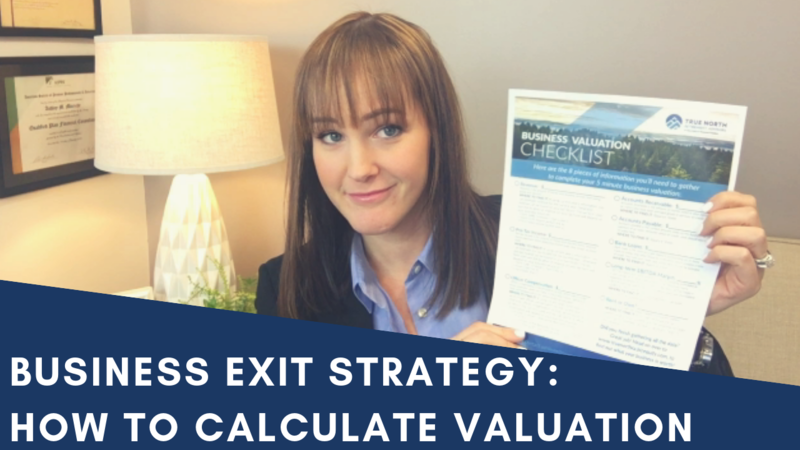 In today’s blog post and video, Ashley talks about taking that first step towards your business exit strategy – finding out what your business is worth. The importance of an accurate business valuation – We have the tools to make it quick and easy! Why a valuation determines your exit plan options. Why you should start now- A successful exit could take 5-10 years! And how to receive your free business valuation checklist along with free unlimited access to our valuation tool! Click here to watch the full video or read the full video transcript, below. There was a study done a couple of years ago by the Business Exit Institute, and what they found is that 98% of business owners have no clue what their business is worth. They don’t know. That, to me, is pretty scary. A lot of business owners feel stuck where they’re at. They don’t take that first step in figuring out what their business is worth because they think it’s going to be time-consuming and costly, but it’s not. Not anymore. Not with technology. 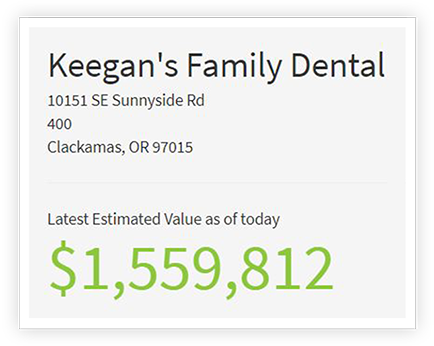 With just eight pieces of information, you can get a really, really good estimate of value for your business in five minutes for free. I’m going to lay out the most important high-level steps that you’ll need to do to exit your business successfully regardless of what that path looks like, who your ideal successor is, and when you plan to leave your business. So today I’m starting with the most important thing you can do to get started on your business exit. And that is obtaining a valuation for your business. Now, a lot of people roll their eyes and groan because it sounds like it’s a lot of work, right? You have to have a certified valuation expert come in and they might spend weeks or months pouring over your books, asking you lots of questions, disrupting your business and they charge thousands of dollars to do an analysis. So I get it. I understand that you may not want to go through that process. But the software that’s available today makes it so much easier. When I talk to a lot of business owners, they have a rough estimate of value in their mind and often, it’s based on nothing factual. Knowing the value of your business is the exact same as entering the current location on your GPS. You need to be able to know and take inventory of where you are today, what the value of your business is today before you can start on that GPS road map and before you can start on your exit planning process. Because if you start planning for your exit, looking for a successor, putting all the things in place so that you can exit your business successfully, but the estimate of value for your business is off, or it’s really wrong, then you’re going to set yourself up for a lot of missteps along the way. It’s so important at the very beginning to understand what your business is worth so that you know the starting point, you know what you need to do if you need to increase the value of the business, you have a better understanding of what it’s going to take to get there, and how big that gap is between what your business is worth and what you need it to be worth in order to exit. Just the fact that it really influences who you’re going to be able to sell to and what that ideal successor looks like is really important as well. And you’ll want to get a good idea of that and what your successor options look like really early in the process. We have uncovered that there are eight pieces of information that are required in order to get a really good valuation. If you go to truenorthra.com/valuemybusiness, you will get a free business valuation checklist. It spoon feeds you the eight pieces of information that you need to enter into the valuation tool. Some of the valuation inputs: revenue, pretax income, officer compensation, accounts receivable, accounts payable, bank loans, long-term EBITDA margin (which is actually not that difficult to figure out), and whether or not you rent or own. With these eight pieces of information, you can get a really, really accurate starting point ballpark valuation for your business. All the instructions are right there. Once you get these eight pieces of information, you’ll receive instructions to enter that information into the valuation tool, and bam! It spits out your business valuation. All of a sudden you go from having no clue what your business is worth, like 98% of business owners out there, and we’re going to make you a two-percenter. You’re going to know exactly what your business is worth. Eight pieces of information. And then once you have this gathered, it only takes five minutes to enter the data to get your valuation. You get it instantly! Go to truenorthra.com/valuemybusiness to get your checklist today! I will see you next week for Part Two – Establishing Your Exit Timeline and your goals for exiting your business. When do you want to leave your business and what does that look like? Thanks for reading! Did this answer your questions? Did you find it valuable? Please subscribe to our newsletter below to receive future updates in your inbox! The views outlined in this newsletter are those of True North Retirement Advisors (TNRA) and should not be construed as individualized or personalized investment advice. Any economic and/or performance information cited is historical and not indicative of future results. Economic forecasts set forth may not develop as predicted. Different types of investments involve varying degrees of risk, and there can be no assurance that the future performance of any specific investment, investment strategy, or product made reference to directly or indirectly, will be profitable, equal any corresponding indicated historical performance level(s), or be suitable for a given client or portfolio. Investing in stocks includes numerous specific risks including the fluctuation of dividend, loss of entire principal and potential illiquidity of the investment in a declining market. Bonds are subject to market and interest rate risk if sold prior to maturity. Bond and bond mutual fund values and yields will decline as interest rates rise and bonds are subject to availability and change in price. Any questions regarding the applicability of any specific issue discussed above should be addressed with TNRA. All information, including that used to compile charts and/or tables, is obtained from sources believed to be reliable, but TNRA has not verified its accuracy and does not guarantee its reliability. Moreover, you should not assume that any discussion or information contained in the newsletter serves as the receipt of, or as a substitute for, personalized investment advice from TNRA or from any other investment professional. To the extent that you have any questions regarding the applicability of any specific issue discussed above to your individual situation, you are encouraged to consult with TNRA or the professional advisor of your choosing. All information, including that used to compile charts, is obtained from sources believed to be reliable, but TNRA has not verified its accuracy and does not guarantee its reliability.